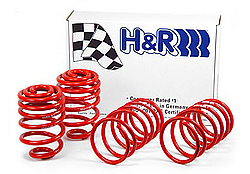 Lowering Springs for 2009-2014 R57 MINI Cooper Non S Cabrio Convertible. These springs are manufactured by NM engineering, TSW, WMW, and H&R. Some are Progressive and some are linear spring rate.